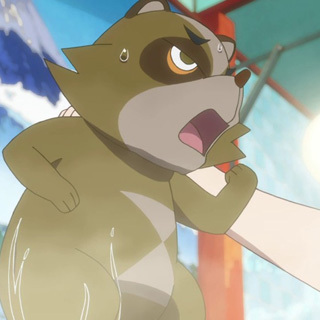 Yasaburo is a young tanuki who is the third son of the Shimogamo family. 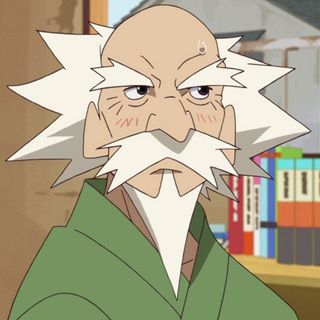 He scampers about, shapeshifting between his various human forms (often taking the form of a schoolgirl), attending to his master (a tengu who lost his ability to fly), and dealing with his family. His oldest brother, Yaichiro, aspires to be just like his father. The second son, Yajiro, shapeshifted into a frog for so long he forgot how to change back, and now spends his days at the bottom of a well. 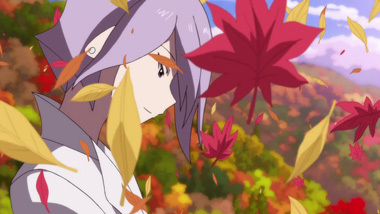 The youngest, Yashiro, is very shy and nervous, but does his best to earn his keep. 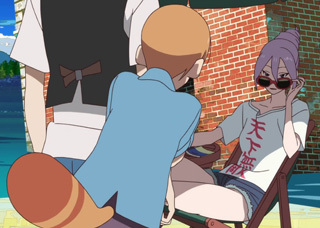 They truly are an eccentric family. 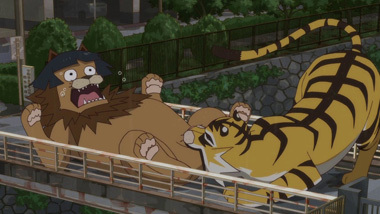 Especially Yasaburo's mother, who in addition to shapeshifting into a "prince" and parading around town, also has a severe fear of thunderstorms, so Yasaburo and his brothers must comfort her. Yes, family is very important here. 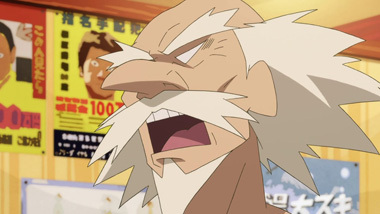 Yasaburo's father, Soichiro, was a giant in the community and beloved by his family, but had his life ended when he was eaten by the mysterious Friday Fellows. That's correct: eaten. 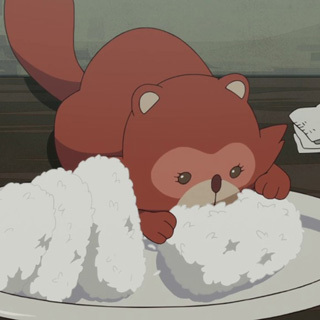 Tanuki is a delicacy for the Friday Fellows, an organization who's purpose seems to elude everyone but is made up of powerful movers and shakers in Japan. 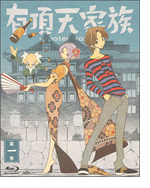 The most critical member of this group is Benten, a former student of Yasaburo's master, and a strange human with psychic abilities. Suffice to say, there is a lot going on at first glance. 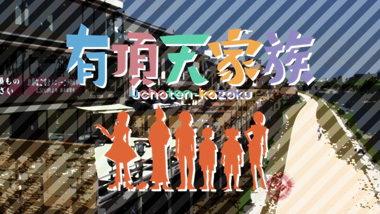 This story is based on a novel by Tomihiko Morimi (the writer of Tatami Galaxy), so while it may have had a bit more space to breathe in the pages, the anime does ecceptionally well with so many characters. 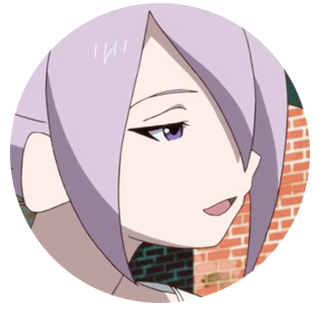 Everyone is clearly defined and easy to understand -- aside from Benten, whose mysterious plans are intentionally shrouded. The art is particularly gorgeous. 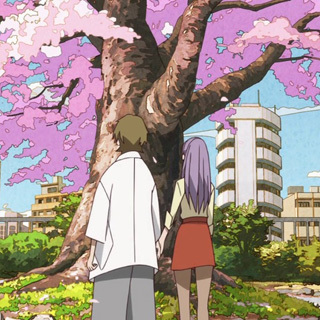 Excellent framing and an enthusiastic use of bright colors make each scene stand out -- some especially beautiful trees appear in episode 6. 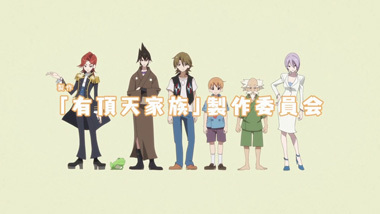 The character designs were done by Koji Kumeta (creator of Sayonara, Zetsubou Sensei) and it really shows. If you love his angular, iconic style, then you'll be happy because it's present in full force. 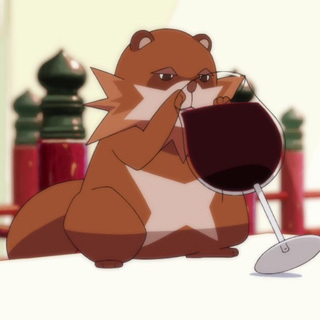 The writing is also a solid element of the show. 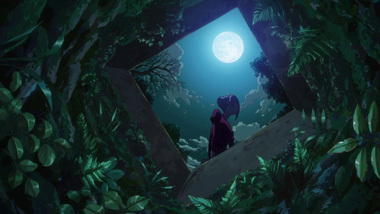 The dialogue is frequently clever, but some of it will probably make more sense to viewers with a stronger understanding of Japanese folklore. 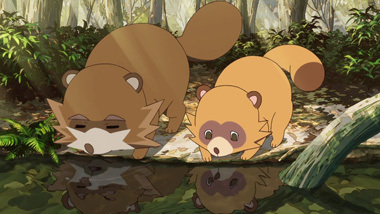 Occasionally it's difficult to tell if the characters are speaking in metaphor or literally (such as "I want to eat you up") but this feels intentional, as perhaps this tanuki-eating group isn't exactly what it appears to be. 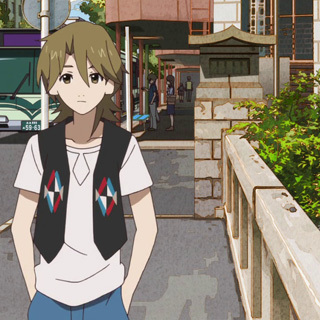 Despite all this, The Eccentric Family takes a very laid-back and "slice-of-life" approach to everything. 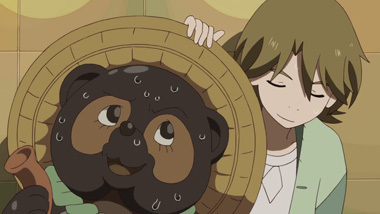 The mixture of comedy, family drama, and daily tanuki life creates a unique uplifting feel, while still retaining slight melancholic elements. 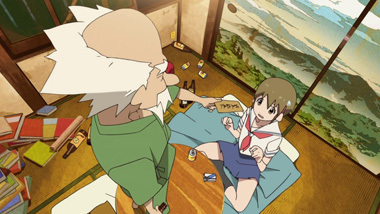 There really is nothing else quite like it airing right now, so if you're a viewer looking for something fresh and new to watch, look no further than The Eccentric Family. 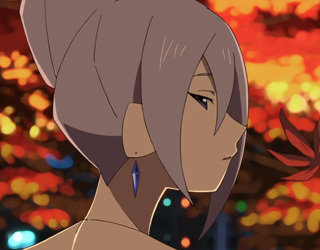 Below: Scenes from Uchouten Kazoku.